This is one of the best preserved examples of an ancient bouleuterion. Built on a roughly square plan, it was surrounded by tiers of selats accommodating 640 citizens. 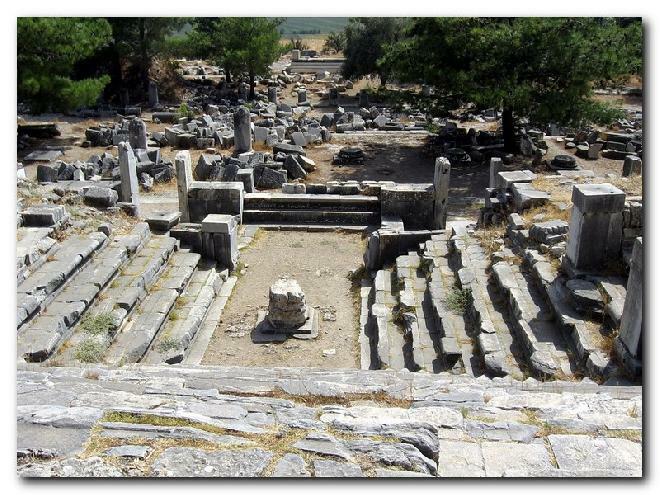 In the centre stood an altar with a decoration of bulls´ heads and laurel leaves. The building is dated to the 2nd century B.C. The speakers addressed the meeting from a podium carved in the south wall between the two entrances. Uploaded by slavica on 5/4/2009, viewed 9133 times.